First, rewind to three years ago: When I was a pre-frosh visiting campus during Princeton Preview, one of the major things that struck me about campus–aside from the beautiful buildings, abundance of the color orange, and free food everywhere–was Princeton’s conscious effort to be “green.” And I wasn’t the only one to notice! Last year, a fellow student told me that she decided to go to Princeton in part because of how environmentally-friendly the campus seemed. 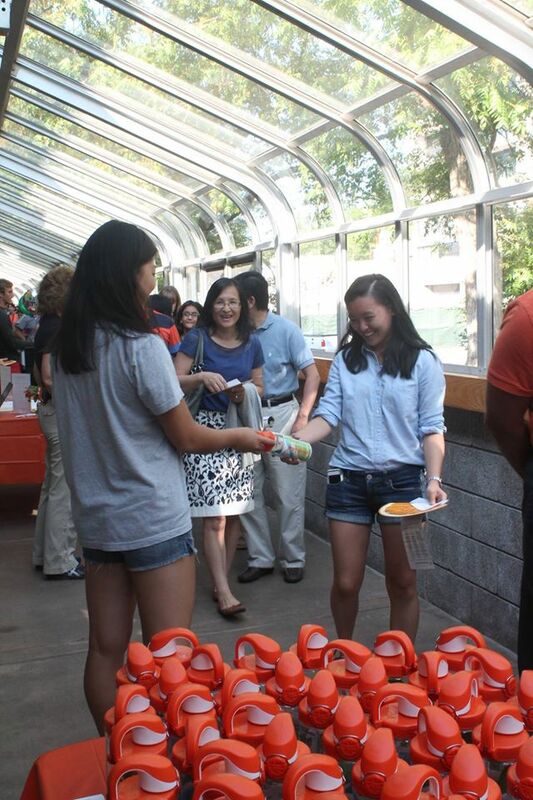 That's me handing out free Princeton water bottles during Move-In! 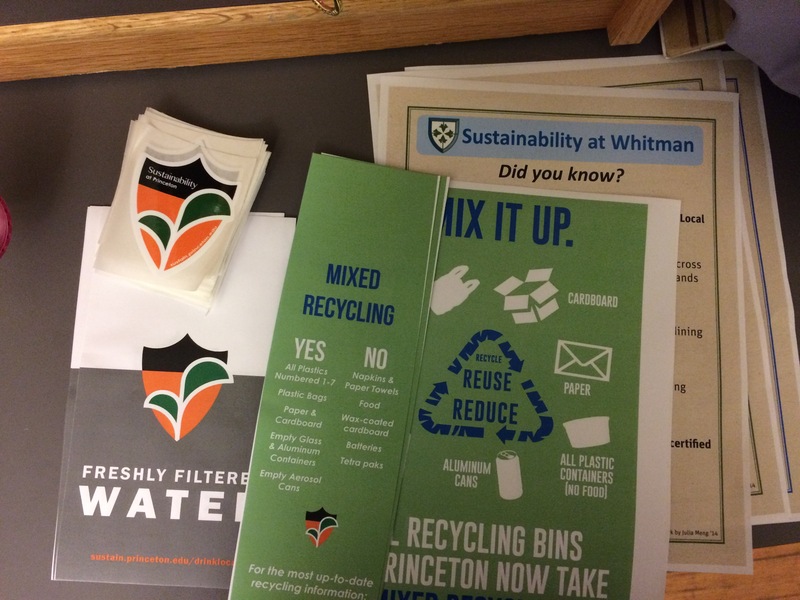 After coming to Princeton, I got involved in sustainability efforts as an Eco-Rep, whose mission is to promote sustainability in the residential community, and I was pleasantly surprised at how receptive and supportive the group was. With the relatively small campus, Princeton’s Campus Dining and Building Services are quite receptive to student input, and the Office of Sustainability is always willing to support students promoting sustainability. 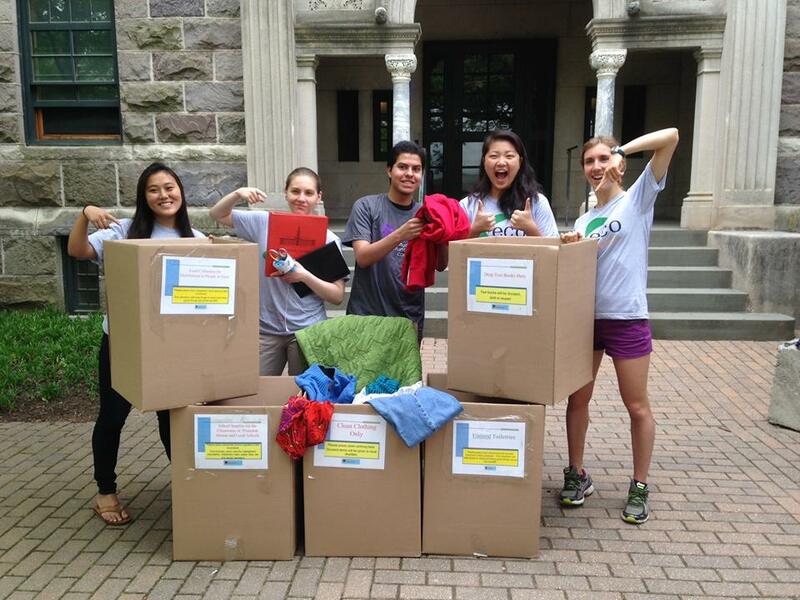 During Move-Out, we redirected more than 200+ boxes of donations from the landfill to local charities. Aside from student efforts, though, a huge collaboration between faculty, staff, and administration resulted in Princeton's official Sustainability Plan, which includes goals for reducing the University's greenhouse gas emissions, conserving resources, and engaging the University through research and education. 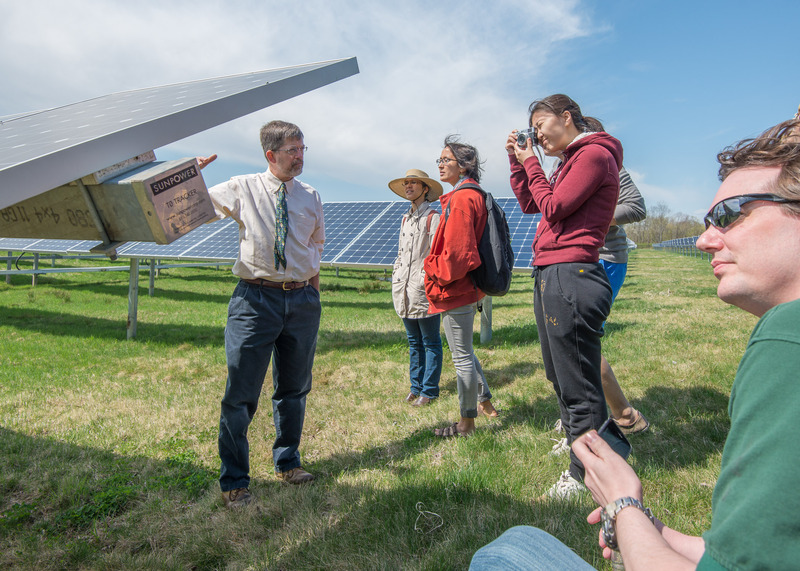 Princeton's solar field generates about 5.5% of the University's energy. On the academic side, the University offers many courses every semester for students interested in learning about energy and the environment in a variety of disciplines–civil and environmental engineering, economics, geosciences, history, and even my home department, computer science! Last semester, I was enrolled in a seminar called “Apps for the Environment,” in which we developed our own Android applications that could help out the environment. Pretty neat, huh? 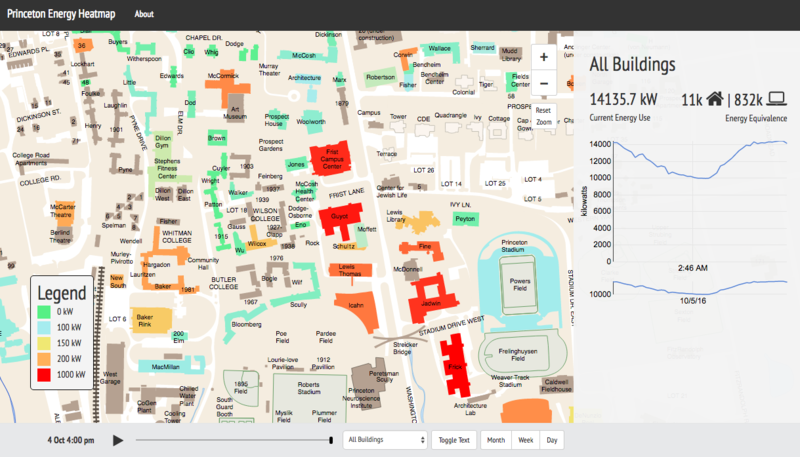 Princeton Energy Heatmap, created by Adam Gallagher, Josh Bocarsly, and Annie Lu for "COS 333: Advanced Programming Techniques"
In more exciting news, though, the brand new Andlinger Center for Energy + The Environment opened earlier this year as a space for teaching and research. They’re doing all kinds of cool things relating to sustainable energy, but personally, I’m just excited to explore this beautiful space during the scavenger hunt for the Office of Sustainability’s birthday celebration in a few weeks! The brand new Andlinger Center shining under the sun. 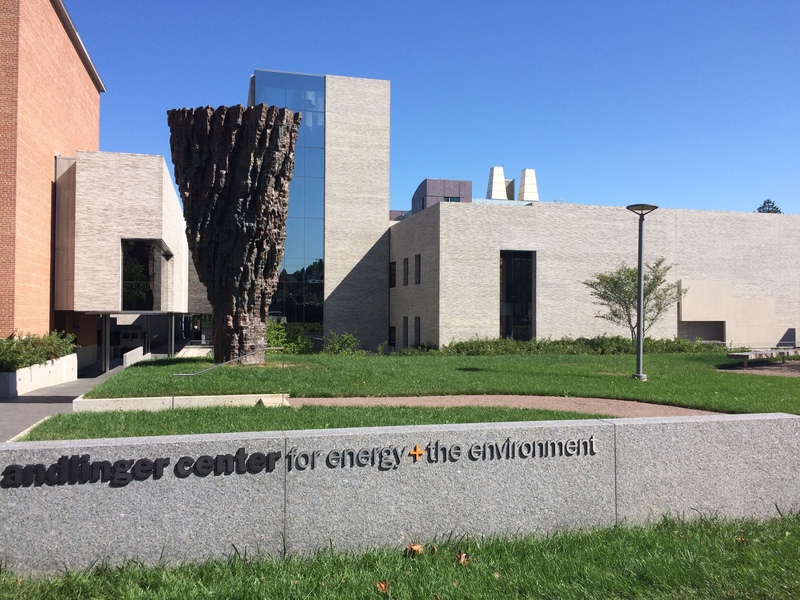 To learn more about sustainability and related research at Princeton, visit the Office of Sustainability and Andlinger Center's websites.